Sea of Thieves wanted to make sure you could pet the pets in-game, so the decision was made to delay them. 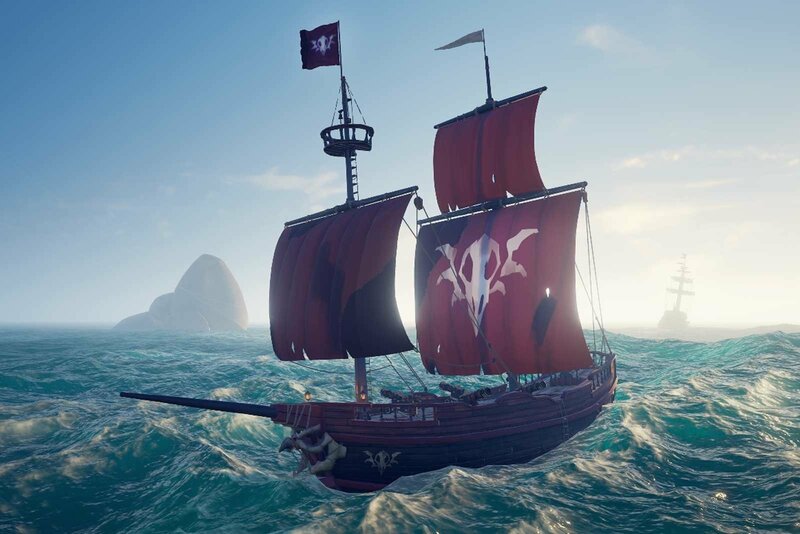 If you're someone who's super into petting animals in games (also known as a good and interesting person), you'll be pleased to know that with Sea of Thieves' upcoming pets, the team has thought of everything – including a way you can interact with them. Yes, Rare's Joe Neate shared during the Shacknews interview about Sea of Thieves earlier this month, you can give the animals a heaping helping of petting if you so choose. Our own Sam Chandler spoke to Joe, asking if there will be a dog included in the upcoming selection of pets. While Neate couldn't talk about that part just yet, he did confirm that you can pet whatever animals that will eventually be included in the game. "See, that was missing and that’s was one of the bits of feedback from Insiders, “You can’t pet a pet,” and we were just like, “Really? How’d we miss that?” said Neate. "We focused so much on their behaviour in the world that we forgot to focus on the interaction between you and pets. I want to be able to hold a pet and show it to you like “Look at my pet!” and then you feed it a banana." Neate likened the ability to pet dogs to the behaviors exhibited on the popular Twitter account Can You Pet The Dog? which performs a valuable service: letting readers know if you can pet dogs in video games or not. It is an extremely important Twitter account that ensures that it clues us in always on what we should be concerned with (rightly so): petting dogs. But senior designer Shelley Preston was quick to clarify that the team didn't wait to add the pets because they were going to be micro transactions. Preston explained that they just weren't up to the team's level of quality. "Honestly, that’s not the reason why. When we look at a feature, we always make sure that a feature is to the highest quality. You can see it in the features that we put in, the love that we put in to the features. Regardless of whether pets were microtranscation or not, we didn’t feel they’d met our level of quality." Be sure to check out our coverage of Sea of Thieves, put together by our very own pirate, Sam Chandler. You can read the entirety of our interview with Joe Neate and dig into everything else he had to say about the game's upcoming Anniversary Update and sights and sounds he saw while in Birmingham in the United Kingdom. The scalawag came back with a lot of useful and cool information, so be sure to pore over everything and let Sam know what a cracking good job he did while over in jolly old England.